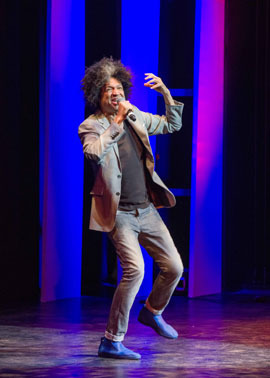 There’s a regal feel to the Jive Cape Town Funny Festival this year. The popular Festival has always been the pinnacle of the local art form in the city, showcasing the best stand up in the country, alongside a range of top class international performers. 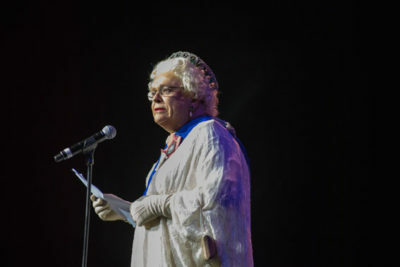 However, this year Queen Elizabeth impersonator, Australian Gerry Connolly, sets the tone of the show perfectly, with a thrilling entrance and a cleverly worded “official opening” speech. The sophistication of Connolly’s delivery, lays the foundation for a wonderful evening of comedy. Each act is clever and entertaining with Canadian former Cirque du Soleil lead clown, Mooky Cornish (appearing as diva Gloria Rivard) presenting a masterful piece, using a very willing audience member to great effect. Her routine is a gem and a highlight of the star-studded evening. 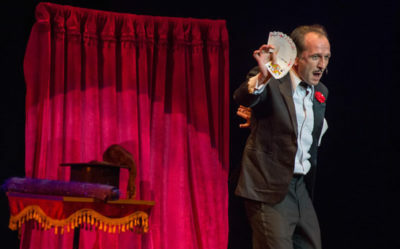 Frenchman, Raymond Raymondson, has two slots in each half of the show, the first as a Olympic gymnast which is a masterclass in physical comedy and expression. 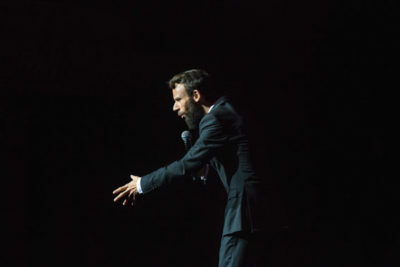 The local performers are the cream of the country’s stand up industry. Tats Nkonzo, Rob van Vuuren and Marc Lottering are a delight and their material pertinent and fresh. 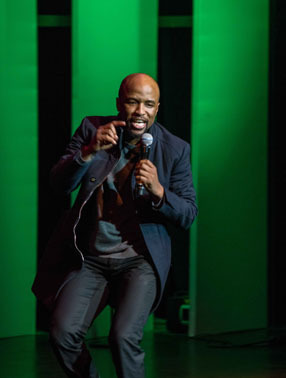 The depth of local talent is evident however, in the cameo performance by new comic and winner of the Cape Town Comedy Club competition, Reagen Allen. His performance is a highlight and worth the show ticket alone. If Reagan represents what is coming up in comedy circles in the City, the future of the art form is secured. The show however, owes its success to the brilliant master of ceremony Alan Committie, who effortlessly strings the evening together. 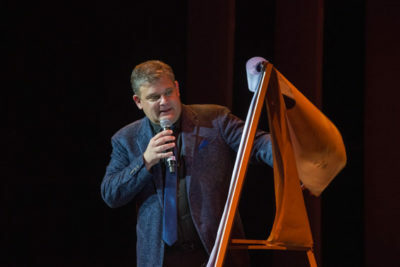 His hilarious skits are his trademark, covering topics from the Spanish hit song Despacito to “signing” the evening TV News. Committie is certainly one of the top comedy minds in the country and his theatre background make him a world class comedy host. 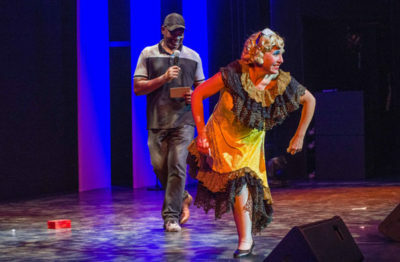 The Jive Cape Town Funny Festival runs nightly until the 5 August at the Baxter Theatre. 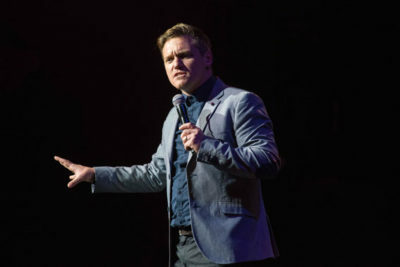 Minor cast changes occur at the half way mark on the 24 July when UK Comedy Duo, Thom and Garaghty replace Mooky Cornish while Khanyiso Bunu joins the cast. More information is available on www.funnyfestival.co.za . Tickets can be booked through webtickets.